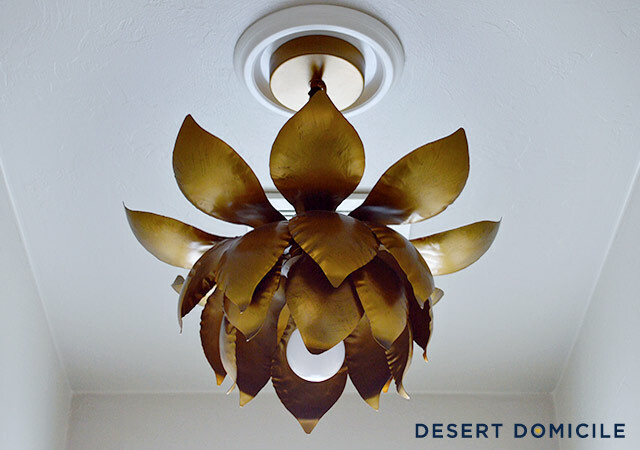 Last weekend, we successfully replaced the recessed light fixture in our water closet with our beautiful lotus pendant! I’m going to walk you through the process of how we did it but I need to preface everything I'm about to say with the fact that I’m not a licensed electrician. That being said, I’ve replaced every light in our home with no problem but that doesn’t mean you won’t have a problem in your home. You shouldn’t attempt to do this yourself if you’re not familiar with or comfortable with electrical work. When in doubt, hire out! I don't want to be responsible for something bad happening! When I was researching how to do this, I found this kit from Westinghouse (not a sponsored post). I watched a video on how to make the switch before I bought the kit to make sure it was something I was comfortable with. It seemed pretty straightforward so we made a quick trip to Home Depot to pick it up. Double check to make sure your power is out! When you’re sure it is, you’re going to remove your can light. 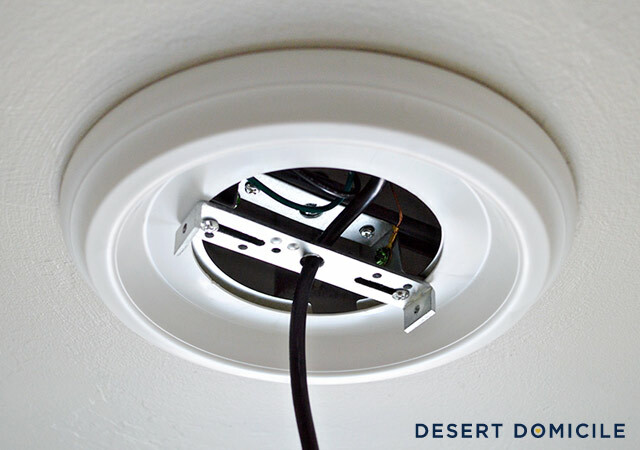 If your recessed light is like ours, it will have two mounting springs holding it up. 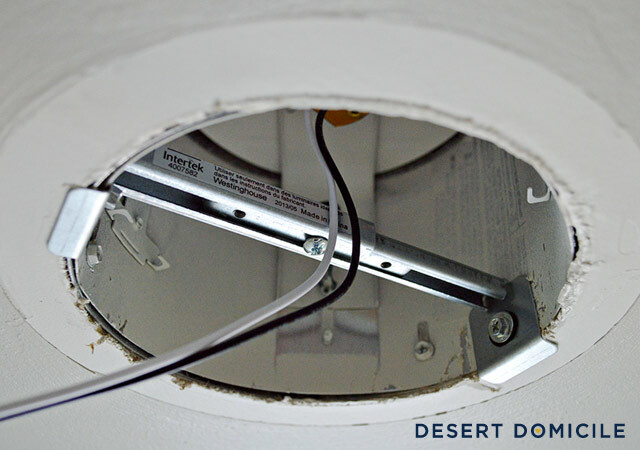 You're going to stretch the bottom brace (shown above) out across the recessed light until it's snug against the sides. 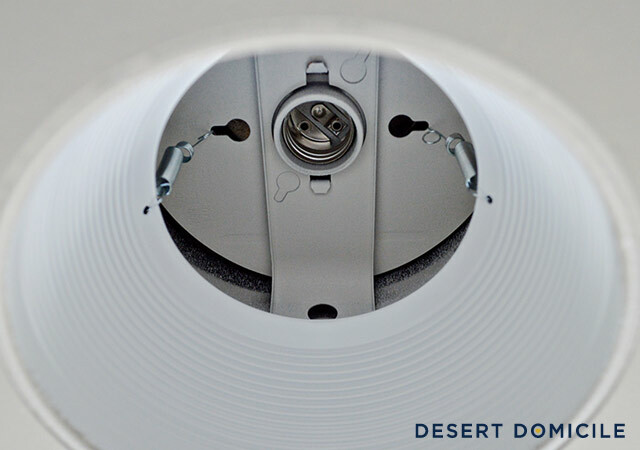 Then you're going to tighten the center screw to hold it in place so you can screw the sides into the can light. Note: this was hands down the hardest part of the whole installation. 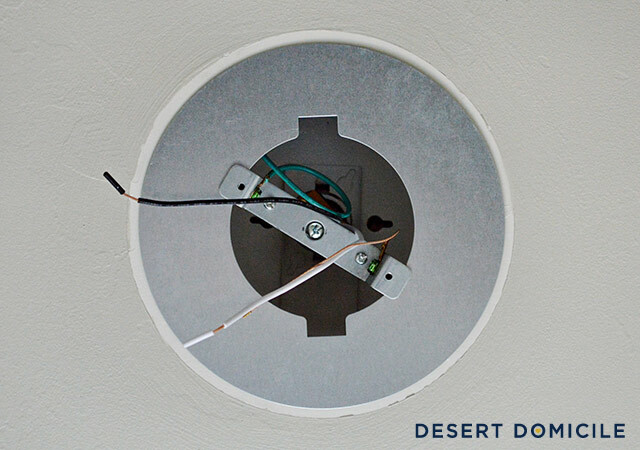 I'm not sure what happened but we couldn't get any screw to pierce the metal sides of our recessed light. Anyway, the second piece of the bracket screws into the first piece. The washer goes underneath the screw on the uneven side (on the right in the photo below). 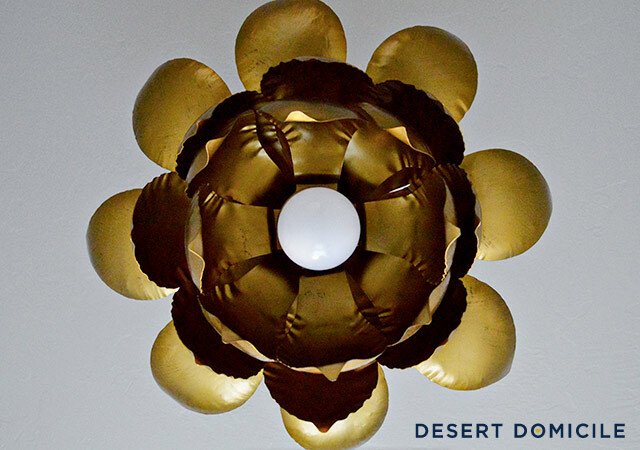 Before you begin to wire your pendant, make sure you slide the ceiling medallion on! 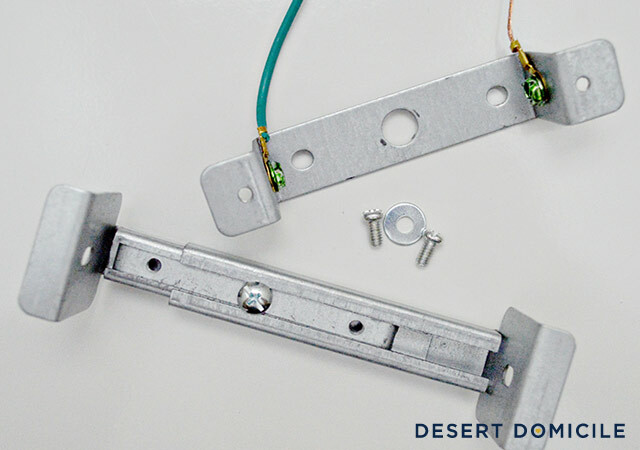 You might need two hands for this next part – one person to hold the pendant and one to attach the mounting bracket! 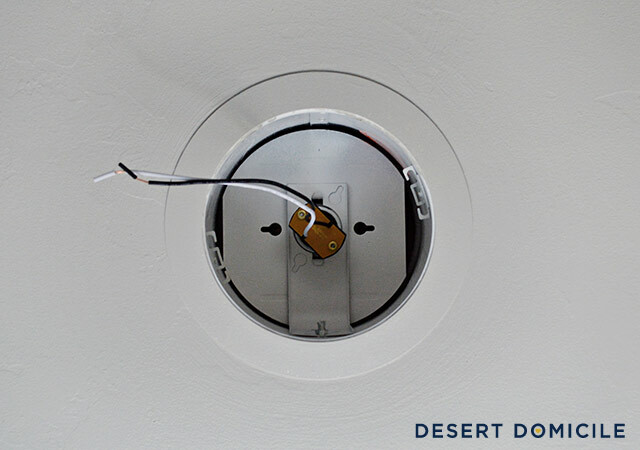 The pendant's mounting bracket gets screwed into the two holes shown above. 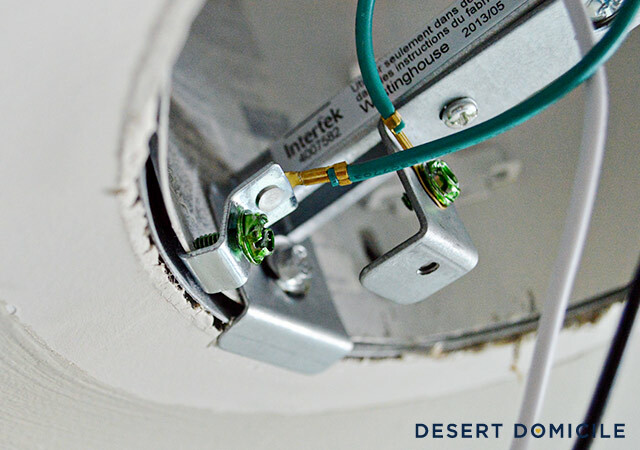 Once it's secure, connect the black wire to the black wire, the white wire to the white wire, and the green wire to the exposed copper wire. FYI: your wire connections will probably look different than mine! 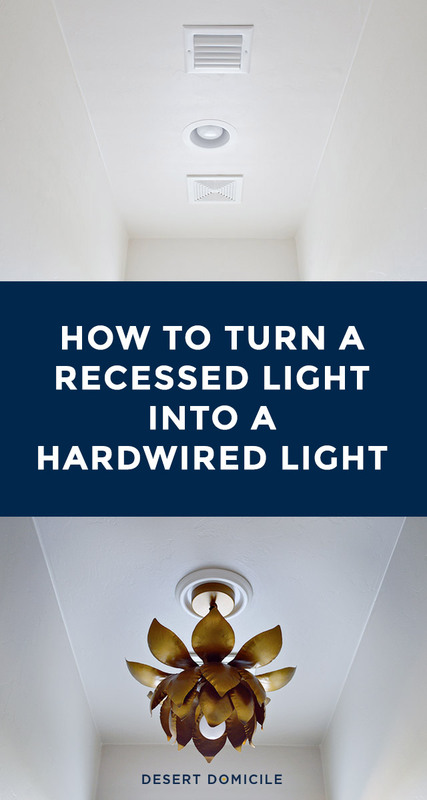 It all depends on what pendant you're using so don't worry if the little orange/yellow wire connectors that look like cones come with your pendant. 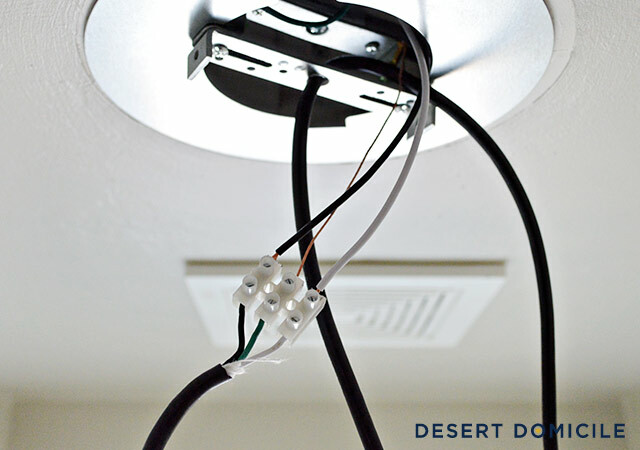 Before I finish mounting any light, I like to turn the power back on to make sure the fixture is wired correctly. If it is, I turn the power back off and finish installing it. If it's not, I check my connections and try again. 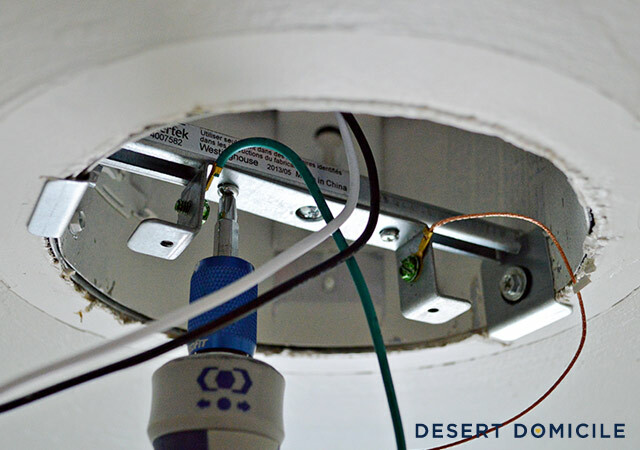 Remember to make sure the power is off before finishing the installation! 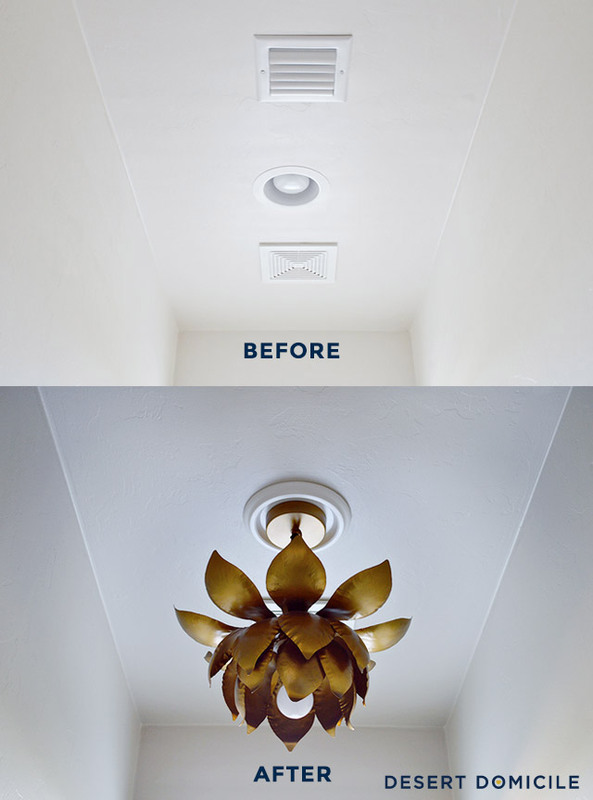 In case you're wondering, I would 100% recommend this kit as long as your pendant doesn't screw into to the mounting bracket from the sides like ours does because there is no room to fit a screwdriver in between the pendant's side and the side of the ceiling medallion! We ended up having to buy socket screws that could be screwed in place with an allen wrench because it's the only thing that was tiny enough to fit in the pedant/medallion gap. 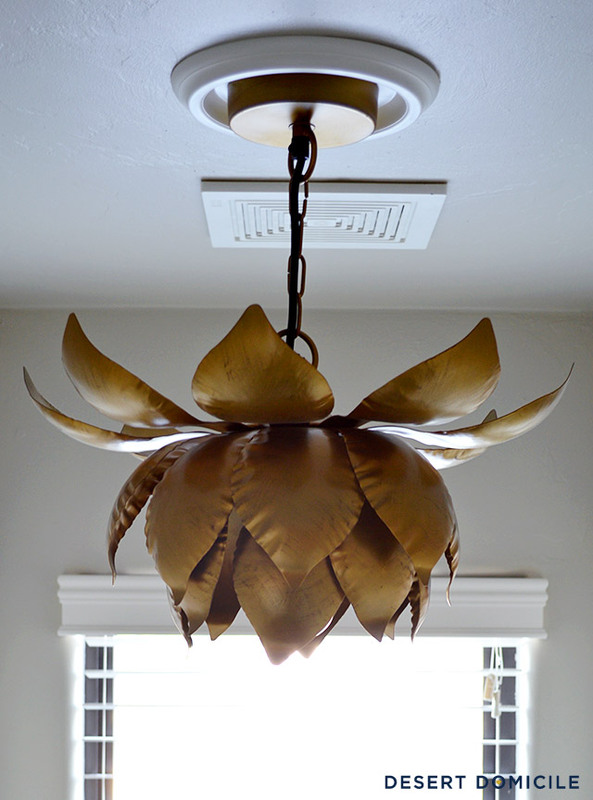 We didn't even think about this until it came time to hang the pendant so keep this in mind if you attempt to do this yourself! Here's a before and after comparison! I love how much warmth the pendant adds to the tiny space! 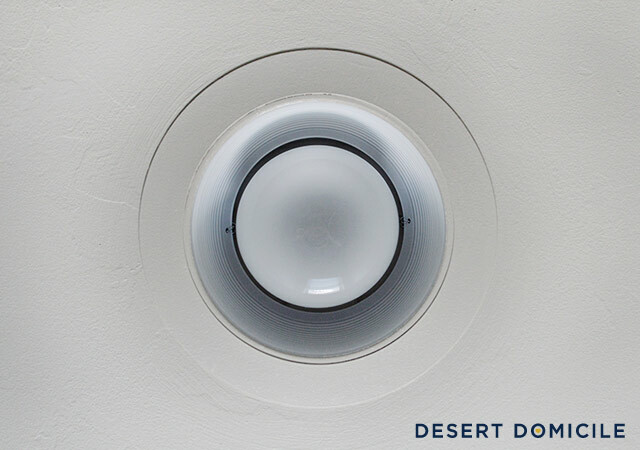 It doesn't give off as much light as our recessed light did but it gives off plenty more than it did in our laundry room! Don't forget to pin this for later so you'll know what to do when you're ready to make the switch! It's sooo pretty, Caitlin! I just adore this light! I'm so glad you found the perfect place to hang it! I love the light!! I am thinking I need to use it for my laundry room. Thanks for the tut! !